At DOCAR we provide oven cleaning and repairs services to the geographical area shown below. 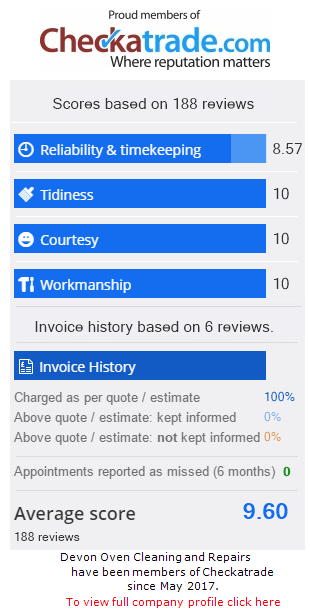 If your location is not listed then feel free to contact us as you may still be within our coverage. Please note - there is a surcharge for areas out of our coverage zone. 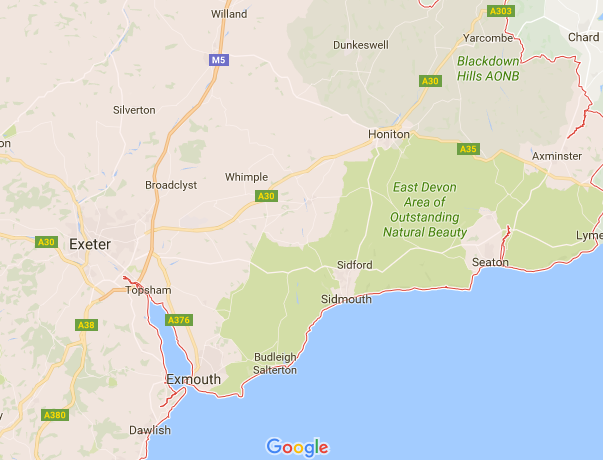 Based in Exmouth, we provide expert oven cleaning to all the surrounding areas: Budleigh-Salterton, Sidmouth, Topsham, Exeter, Dawlish, Collumpton, Ottery St Mary, Honiton. Our fully trained staff use only eco-friendly, non-caustic solutions in your home and can make your oven look as good as new.